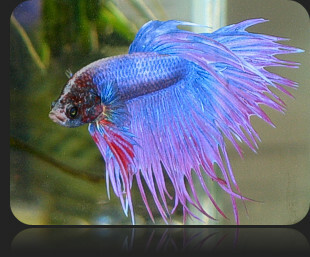 The Siamese fighting fish or “Betta” is one of the most popular of all aquarium fish. There are several reasons for this popularity. 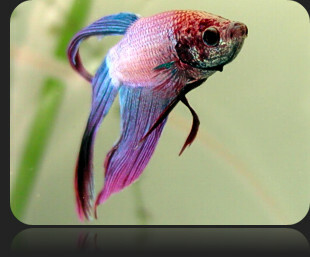 First, is their beautiful colors often referred to as “splendid”, thus one of the more popular species Betta splendens. They are in the family of fish called Anabantoids. As such they have a special labyrinth organ that other fish do not. This enables them to get oxygen from the water surface as opposed to using their gills to extract oxygen from the water. Because of this special feature they are able to be kept in a small container or bowl, whereas other tropical fish need a larger aquarium with added filtration. The sales of Bettas have surged in recent years as they’ve become displays in beautiful, ornate vases, bowls and glasses and easily kept on a table top, desk or counter. Keeping the Betta is relatively easy. Contrary to popular belief it is not totally care free. There is advice circulating around that they can be set up in a vase with a peace lily put into the vase. The goal being, the roots of the plant are down in the water supposedly allowing the Betta to feed on the roots and thus having a self-sustaining eco system. This is not true. In the wild, Bettas feed on insects (i.e. mosquito larvae) not plant roots and will need to be fed regularly. Even though they can be kept on a small bowl without a filter (because of their ability to breathe oxygen from the surface) they still need to have their water quality maintained through regular water exchanges. For best results you should start by filling your Betta container with “aged” or “conditioned” water found in existing aquariums. 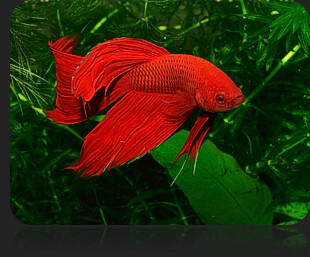 Typically Bettas come from slow moving waters, even the edges of rice paddies in S.E. Asia. Tap water is suitable for them, but it should be treated to rid it of chlorine or chloramines prior to pouring it into the container, which is harmful to the fish. There are many varieties of Bettas available (Split Tails, Half Moon, Round Tail and Crown Tail to name a few) and almost every color under the rainbow. 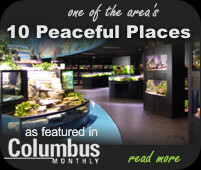 An Aquarium Adventure fish specialist can help you select a good specimen. Bacteria Bloom (cloudy water) will occur 2 to 4 days after fish are added to the tank. The cloudiness, caused by initial bacteria growth, is not harmful to tank inhabitants, and will clear on its own. Have patience! 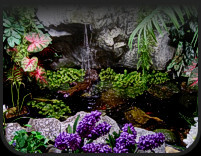 If your water does not clear after 10 days, consult with your Aquarium Adventure Fish Specialist. In nature Bettas feed on insects at the surface, so small pellet food or worms (such as tubifex or blood worms) will be the best choice for them. Be careful with your feedings. Overfeeding will cause the water to become cloudy and smelly from the accumulation of decayed food. This water will, in time, become harmful to the fish. When feeding, remember that less is best. A safe recommendation is to feed 2 to 4 pieces of food every other day. Since a Betta container or bowl generally does not have a filtration system, you must be very careful when cleaning. Every 5 to 7 days, you should change part of the water. Pour the top 2/3 of the water from the Betta display container into a temporary holding container (plastic or glass). Then carefully transfer the Betta, using a net, into this holding container while the rest of the bowl is cleaned. The remaining water should be discarded. Once the display container is empty, it can be rinsed out with fresh tap water. Never use a cleaner or chemicals of any type to clean with as these, even in trace amounts are toxic to fish. Once the display container has been rinsed, 1/3 of the container can be filled with new, fresh tap water. Remember, the water must be conditioned to remove chlorine and/or chloramines. The water should be at room temperature. Carefully, pour the Betta and the old remaining 2/3’s water back into the display container.